Every business faces certain types of risk in the course of its daily operations, and this may be especially true for jewellers. Fires, flooding, and other issues in that vein are typically well outside the control of the owner or employees, and therefore comprehensive liability coverage is needed to insulate them from the costs that could arise as a result of such an event. However, there are other risk factors in business that can vary widely depending upon what kind of work a given company does. And when it comes to jewelry stores, that risk is obvious. Anyone in the industry will tell you that it’s not always easy for jewelry stores to find the right kind of comprehensive insurance coverage because they run such a risk for serious theft attempts, often involving their employees being put into real danger. One such incident occurred earlier this year in St. Thomas, Ontario, where a jewelry store employee was attacked by a robber and sent to the hospital, according to a report from the St. Thomas Times-Journal. 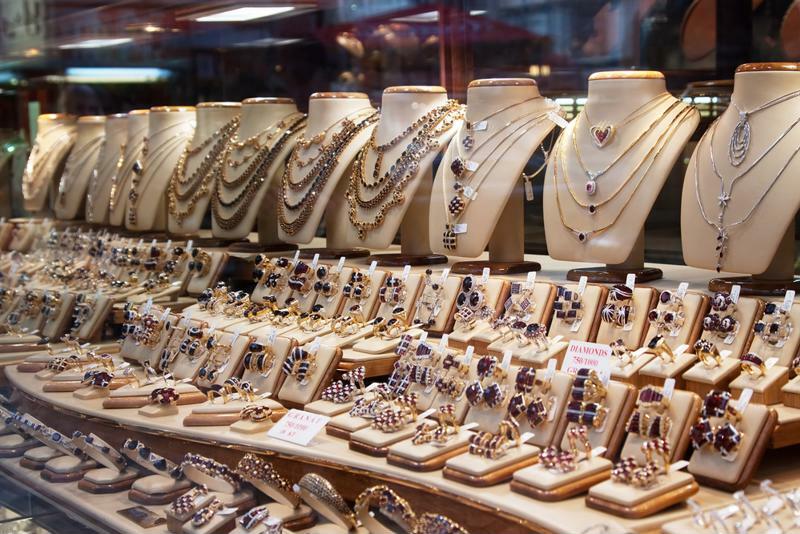 Jewelry stores are likely to face risks that other businesses simply do not. The daylight robbery took place when a man walked into B&L Jewellers and assaulted the owner, using duct tape and zip ties to restrain her, the newspaper reported. She suffered injuries that required stitches to her face, administered at a nearby hospital. During the robbery, a customer walked in, and she was also assaulted and forced into a back room. The thief then ran out the back door with a few cases of jewelry, while the customer freed herself and called for help. By the time police arrived, the criminal had already been out of the store’s immediate area for some time. “As soon as we realized he was gone, we set up a perimeter and called in the K-9 unit, but Trax was unsuccessful,” Constable Jeff DeLeeuw told the newspaper. However, the thief did not get away with the crime, the newspaper reported. Police used forensic evidence and the store’s surveillance footage to positively identify a suspect. He was arrested the next day, and charged with robbery, assault, assault causing bodily harm, forcible confinement, and breach of recognizance. While being held awaiting a bail hearing, he also damaged his cell and was subsequently charged with mischief as well. He later plead guilty to the crimes in question, but has not yet been sentenced. That hearing is scheduled for September. Certainly, this kind of incident should highlight to jewelry store owners that the risks they face go above and beyond that of, say, a supermarket or dry cleaner. As such, owners of these shops will want to make sure their insurance coverage is as strong as it possibly can be on an ongoing basis to ensure they are as insulated from financial risk as possible in these situations. This is also true because of the value of the property they’re likely to have on hand at any given time, which can likewise be lost or damaged in more standard incidents.